Byzantium Metallic is proof that there is a lot of exclusivity among the BMW Individual paint finishes, which offers a wider color palette than ever before. 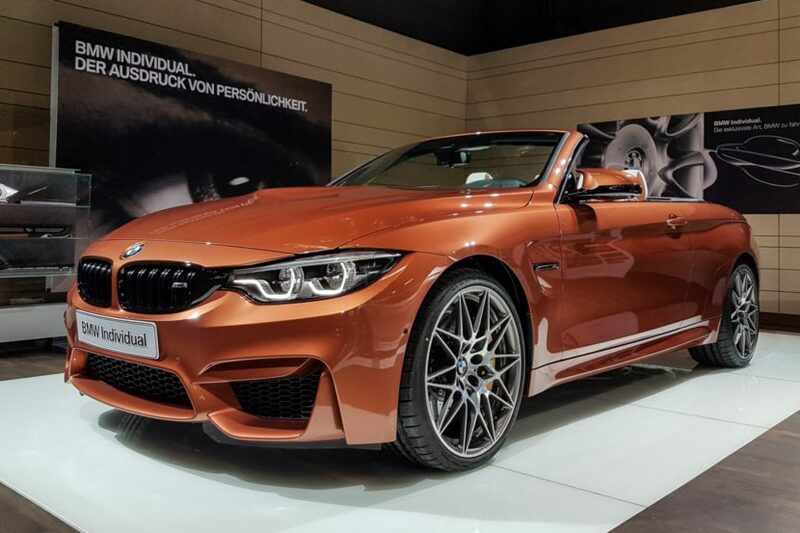 Recent photos of our reader Todor Todorov show a BMW M4 Convertible in extremely rare paint job whose name is reminiscent of the Byzantine Empire. 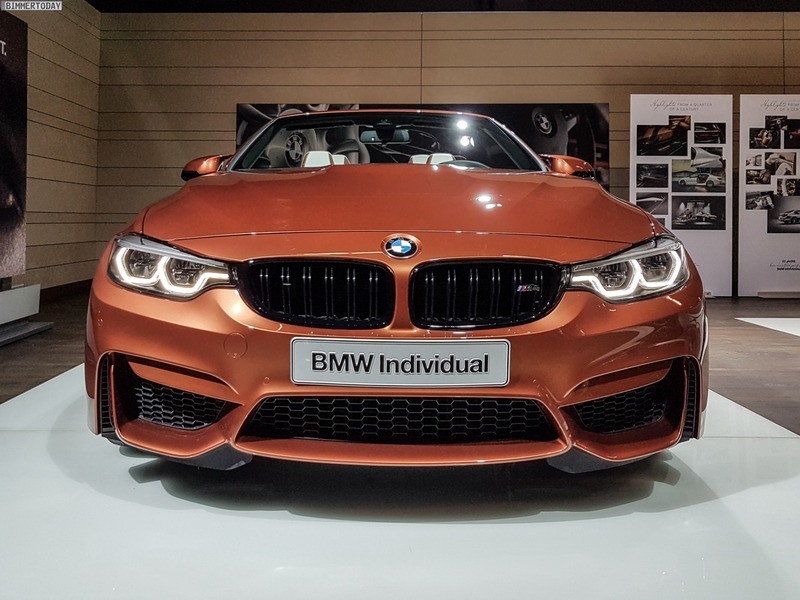 The hue based on a copper hue makes the M4 Cabrio LCI, which is currently on display in the Garching BMW M showroom, an absolute exotic car and guarantees lots of prying eyes. The BMW Individual Byzantine Metallic harmonizes perfectly with the black accents of the Competition Package, while the black edging of the kidneys with black M double struts adds an exciting accent to the finish. The 20-inch alloy wheels in Style 666 M are also a well-known component of the Competition Package. 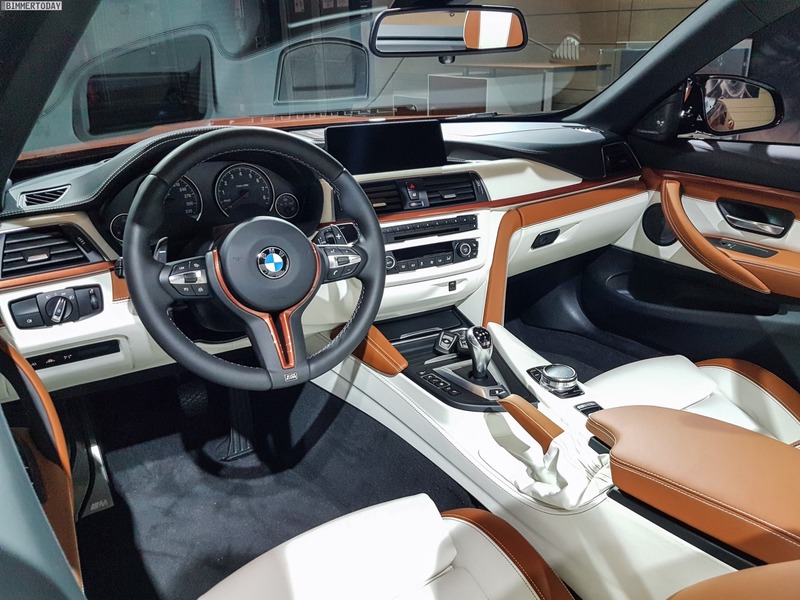 The interior of this Individual BMW M4 Convertible also impresses with exclusive details. In addition to a two-tone leather interior, the exterior color is taken up again: the accent strips on the lower edge of the interior trim shine as well in Byzantium Metallic as the ornamental clasp on the M sports steering wheel. Further details such as the leather bellow the handbrake lever or the leather-covered dashboard decorated with contrasting seams add extra value to the interior. 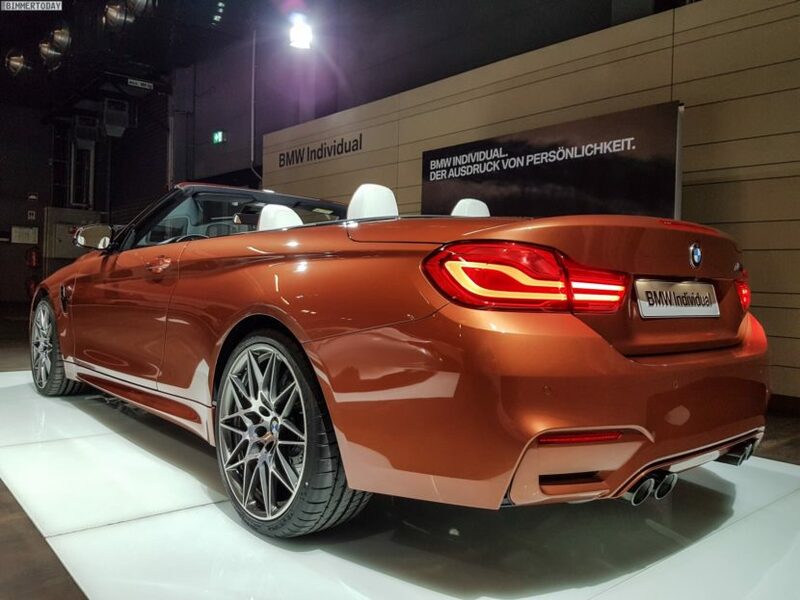 Thanks to the Competition Package, the BMW M4 Cabriolet shown not only offers a particularly individual look, but also delights with remarkable performance. The twin-turbo inline six-cylinder under the exclusive painted bonnet makes 450 hp and reduces the factory specification for the sprint from 0 to 100 km/h to 4.3 seconds. The electronic limit of the maximum speed can be increased from 250 to 280 km/h with the help of the M Drivers Package.